I know. I know. It’s November, and you don’t want to be thinking about Christmas just yet. But, we all know how quickly it can come round. Suddenly there’ll be a week to go, and you won’t even have bought everyone’s presents, let alone your necessary Christmas jumper. Be prepared, get in there ahead of the Christmas rush, and you’ll be the envy of all your friends and family for just how great your Christmas jumper happens to be. What’s that? 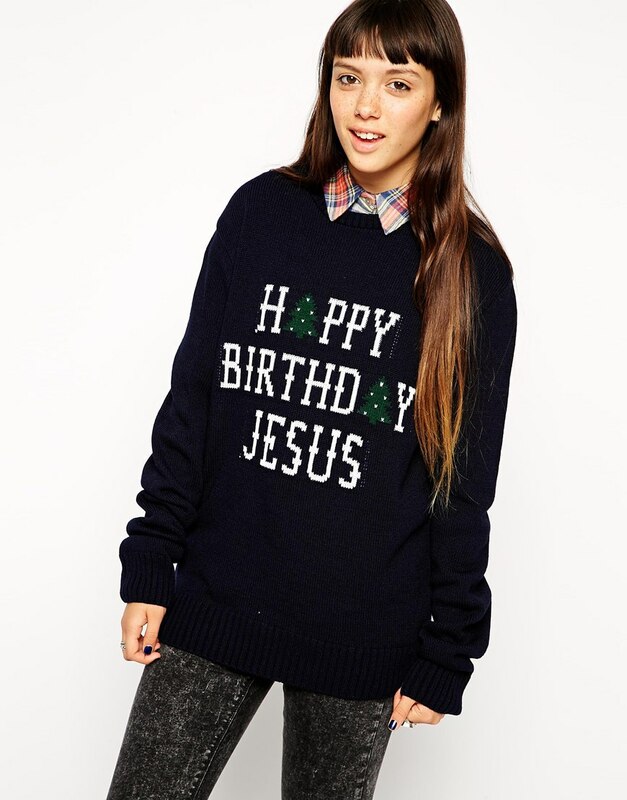 You can’t be bothered scouring the internet for a Christmas jumper? Don’t worry, I’ve chosen my 10 favourites, from the crazy to the stylish (well, as stylish as Christmas jumpers can get) especially for you! I love how Morph Costumes incorporates an app to make its Christmas jumpers animated. I mean, why wouldn’t you want Santa stuck down a chimney with his legs waving wildly in the air plastered on your chest? 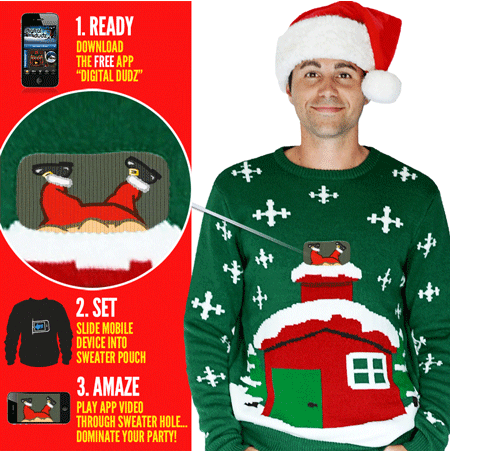 To get the cute little image working, all you need to do is download the app, Digital Dudz, and stick your phone into a little velcro pouch within the jumper. Cool, huh? Get yours from Morph Costumes for £35.99. 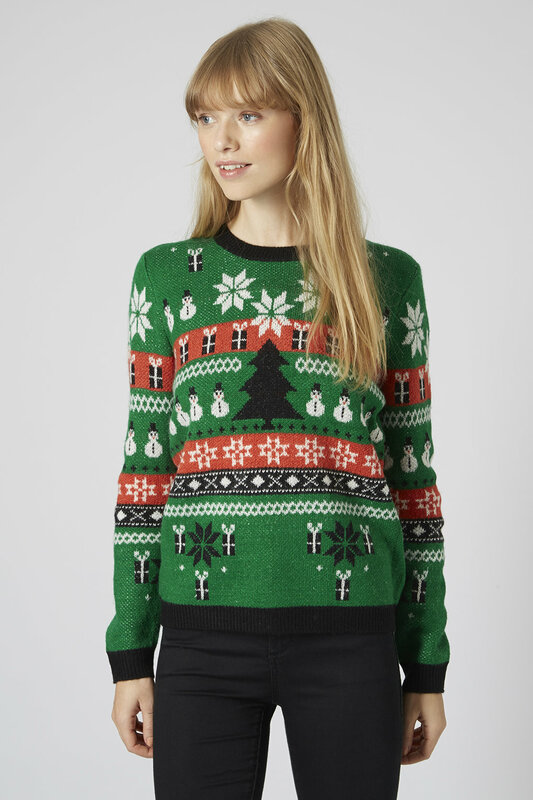 Another cheesy, out-there Christmas jumper, but, let’s face it, what Christmas jumpers aren’t cheesy? 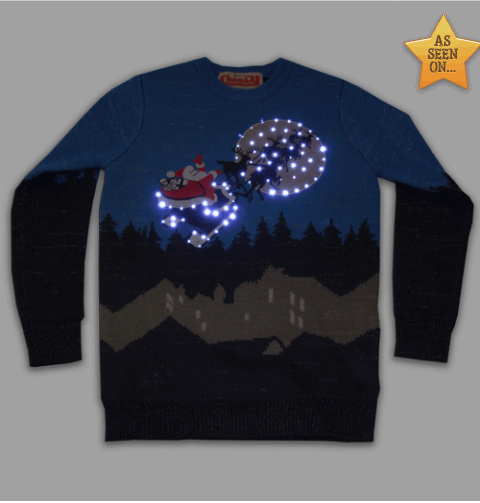 This one just happens to have blue LED flashing lights surrounding Santa and his reindeer flying through the skies on it. Get yours from Truffle Shuffle for £49.99. Who needs Santa, reindeer or presents when you can remember the real reason behind Christmas in a cool, ironic way? I’m also loving the oversized fit of the jumper. HOW DOES THE MODEL MAKE IT LOOK SO COOL? Get yours from ASOS for £38. Much plainer than your average Christmas jumper, but still cute, I love this one from New Look, which comes in blue if you like penguins and red if you’re a snowman fan. Get yours from New Look for £19.99. 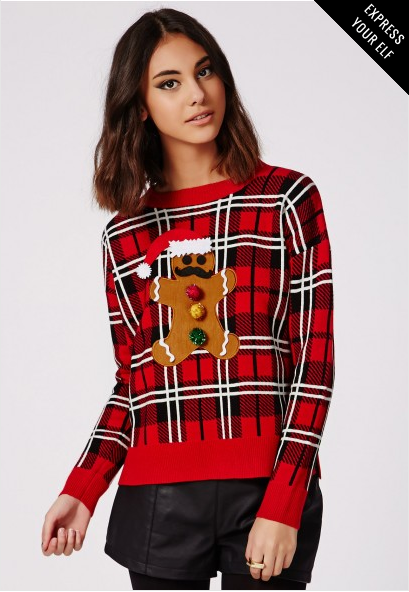 You were most likely looking through this thinking, ‘Cool, but where are the Fair Isle ones?’ Well, here’s my favourite one from Topshop. I love the colours of it, as well as all the little snowmen and the huge Christmas tree right in the middle. SO CHRISTMASSY! Get yours from Topshop for £40. What could be better than a jumper that comes complete with a blank velcro gingerbread man (or woman), and little felt bits and pieces to personalise the little biscuit person yourself? Erm, nothing is the answer to that question. You can even give your little guy some sunglasses, but I’m thinking a wooly hat and scarf would’ve been a more suitable option. Get yours from Missguided for £24.99. Another Fair Isle jumper, but this time in navy or wine, and with snowflakes and reindeers; this one looks so warm and cozy. Get yours from Boohoo for £15. Another Christmas jumper with reindeers, this traditional-coloured red and white one is really sweet, and also contains Alpaca wool, the softest wool of all. Get yours from H&M for £24.99. This Boden Christmas jumper is a lot plainer than most of the others on the list, but it’s very cute all the same, and who doesn’t like penguins? 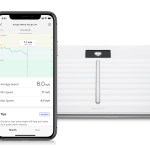 Aside from the jumper, I really like how Boden has a feature called Fit Predictor, which, once you input the size you wear in another similar shop, will tell you the size that would be best for you in Boden’s clothing. 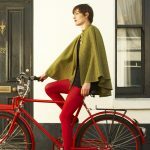 Get yours from Boden for £79. 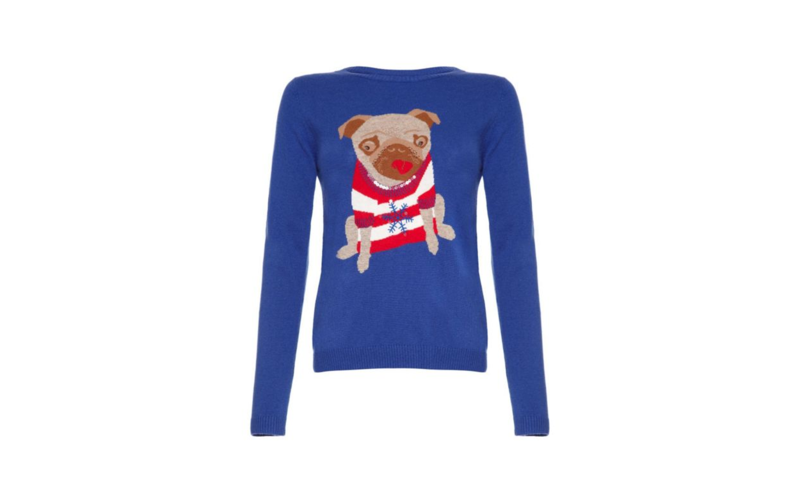 This Christmas jumper has a pug on it! A PUG! And, the pug is sticking its tongue out, because that’s what pugs do. Also, the pug is wearing its own Christmas jumper, which would’ve so totally been even better if the Christmas jumper had a pug wearing a Christmas jumper with a pug on, and so on. The pug will just have to make do with a snowflake. Get yours from House of Fraser for £40.